I recently purchased the audiobook Bear in the Back Seat: Adventures of a Wildlife Ranger in the Great Smoky Mountains National Park (Volume 1) . It’s a series of tales from seasoned Smokey Mountain Ranger Kim Delozier. If you are as fascinated by bears as I am, or just like hearing wild animal stories, this book is an excellent read. Even better, if you are looking for audiobooks that your kids will also be interested in, this book is a winner. The narrator, Carey Jones, has the Appalachian drawl of a country gentleman. He makes you feel like you are sitting around a campfire listening to true stories told by a mountain man who has had countless run-ins with every wild animal you can imagine, especially bears and wild hogs. He speaks with a jolly manliness that is warm and fun to listen to, reminsicent of Sam Elliott (Who–sidenote–played Axe Cop’s Dad on the TV show. Brag completed.). I have a habit of listening to audiobooks on long drives and when I do the dishes. I do the dishes just about every night when the family is asleep because, for what little I have to offer my wife in terms of manliness and good looks, at least she wakes up to an empty sink most every morning. So I was listening to this book while spraying plates and silverware, but the real fun was on my birthday when I forced my family to go out to a podunk town to a country fair and watch bluegrass music (it was actually pretty fun, even if the kids won’t admit it). I really like to listen to an audiobook on my long drives, but I don’t usually subject the kids to them unless it’s Roald Dahl reading Roald Dahl. But I decided that, since it was my birthday and I was allowed to listen to whatever I wanted, after I forced them to listen to my Every Song is Perfect playlist (totally objective) for a while, I popped in Bear in the Back Seat and restarted the chapter I was on. Each chapter is a self contained story, so starting them in the middle of the book worked out great. We finished the whole book in the four hours we spent in the car. My six year old son even requested I turn it back on the moment we got back in the car. He loved the story about the time Kim had a squirrel stuck in his pants and it climbed out the zipper. I think my daughter may have even taken a break from the iPad to listen in. Other stories involved trying to haul an unrestrained, unconscious bear away on a helicopter hoping it didn’t wake up mid-flight, trying to save its life. There was a story about a guy hauling a truckload of skunks and they all got out of their cages and were running free while he was driving. Then one about a bear that was caged for treatment in one of the ranger stations and it managed to bust out, trash the place and escape through a window. This is just a sampling of the tales you will hear in this book. My only complaint about the book is that Delozier can get a little carried away any time he starts talking about people feeding the bears in his park. Clearly, this makes him mad. Any time the topic is raised, it seems like he can’t stop and will go on about the ramifications of people feeding bears. I do not disagree, and it was very informative. I will definitely never feed a bear, especially after reading this book. But the tone of the book loses its steam when it feels more like a lecture and less like a campfire story. I think peppering the bear feeding lectures in a little more lightly would have done the book some good, but the man worked in one of the busiest national parks around a lot of very stupid people for 30+ years, so he’s entitled to blow off a little steam on the subject. I am posting this mostly because I find it tough to find audiobooks that the whole family can enjoy. Listening with my kids and my wife may have been even more fun than the concert we were headed to. Anything that makes a family laugh together deserves praise. Kim Delozier, thank you for this book. Now, I just noticed that there is a sequel to this book available. 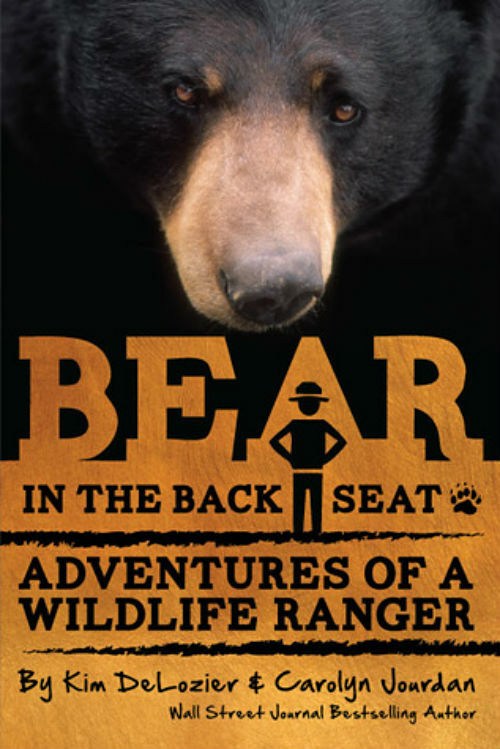 Bear in the Back Seat II: Adventures of a Wildlife Ranger in the Great Smoky Mountains National Park (Volume 2) just may be my next audiobook purchase.